Home Knowledge Centre Blog Leave and Absence Holidays Can employers allocate annual leave to their employees? Can employers allocate annual leave to their employees? Employees have the right to a minimum of 5.6 working weeks of annual leave per year, but they do not have the explicit right to choose when to actually take this time off. If an employee wishes to make a holiday request they must give you notice. This notice can be specified in the contract of employment or a policy and if the employee does not comply with it, you may refuse to grant the leave. If there is no contractual agreement, then employees should give you twice as much notice as the length of period requested. It is always advisable for notice periods for annual leave requests in employment documentation so that you can keep some control and to help you plan. You can stipulate longer notice periods in your employee documentation, however, you should consider the practicalities of this. There may be emergency situations where an employee needs a shorter notice holiday than your rules allow and denying the request on this basis may not be reasonable. Employers always have the right to allocate holiday to an employee, and the Working Time Regulations 1998 set out the rules on this. An employer can serve notice to an employee that they are to take holiday on particular days provided that the correct notice is given. In this circumstance, the correct notice is twice the length of the annual leave to be enforced. For example, if you want an employee to take 5 days off, you need to give them 10 days’ notice. Alternatively to specifying when employees must take their annual leave, you can specify a time period during which they cannot take time off. This can be a particularly busy period for your business which you have identified, such as the run-up to Christmas or the summer period. As long as staff are aware that you will not be able to approve any requests within the particular period, they can be refused. However, this may not be possible towards the end of the leave year if a block on annual leave means an employee will not be able to take all of their leave entitlement for that year. This is why it is important to keep an eye on the amount of leave all employees have left at regular intervals during the year, reminding them perhaps once or twice in the second half of the leave year of how much they have left and that they should book it or they will lose it. 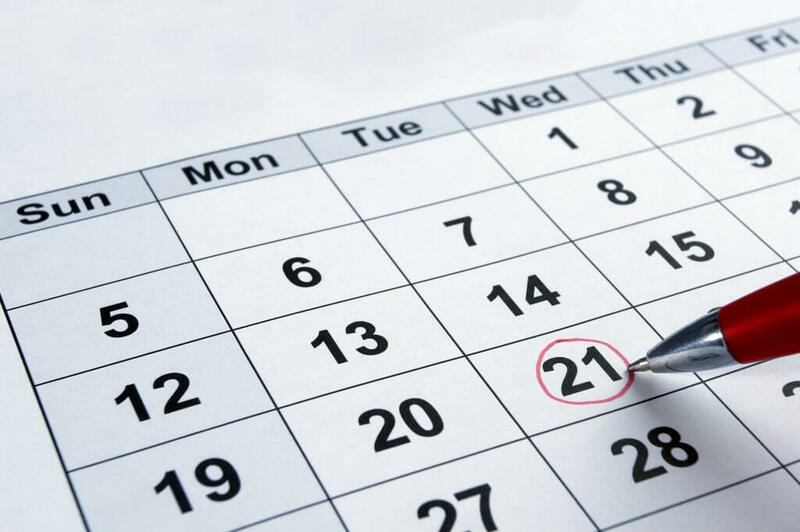 If you intend to set a period during which no annual leave can be taken, you should give as much notice as possible to avoid problems regardless of the minimum notice period set by the Regulations.